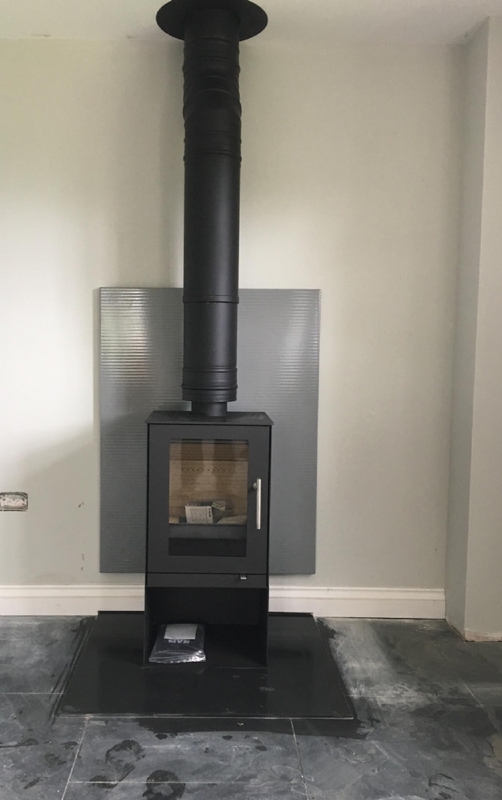 Rais Qtee installed in Cornwall wood burning stove installation from Kernow Fires. When it comes to contemporary styling Rais leads the way which is why these customers were drawn to the Rais Q Tee. 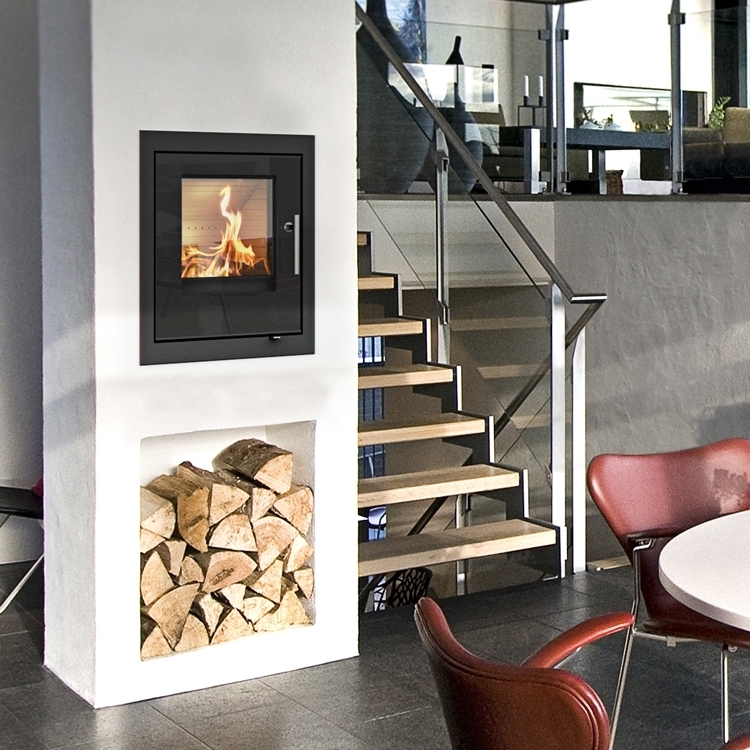 The Rais has been set here in front of a Charnwood Vlaze panel and sat on a slate hearth which has been made to order.